Marathon runners pride themselves on their endurance and impressive cardio rate, but this seemingly healthy activity could pose a threat to their organ health. But why is this marathon running health risk important to our readers, you might ask? Because more and more people are getting into marathons and long-distance running—at increasingly later stages of life, too. Maybe you’ve been tempted to take up the challenge yourself. While most runners can tell you about the wear and tear the joints and feet suffer due to marathons, there’s something they might not realize. A study has now found a link between marathon runners and short-term kidney injury. The study found that the kidneys in marathon runners resulted in injury due to the physical stress on the body, in the same way they would be affected by medical or surgical complications. However, two days after the marathon, runners fully recovered. 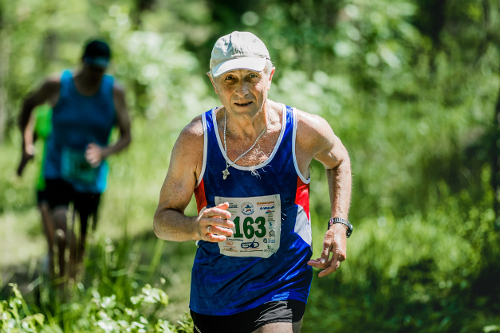 Researchers are curious about the long-term effects of this strenuous sport, as marathons are becoming increasingly popular among middle-aged and older adults. If you are a runner or are considering taking up marathon running, here are some important things to know to preserve your health. Some potential causes of kidney injury during marathons could be the rise in core body temperature, dehydration, or the decreased circulation of blood to the kidneys. When running, your body sends blood to your skin and muscles, leaving less for the kidneys. However, the exact causes of marathon-related kidney damage are still under study. So, what can you do to prevent long-term kidney injury? The expert behind the study, Dr. Chirag Parikh, said people with no risk factors for kidney disease do not have to worry too much. However, if you do fall into this risk category, if you have diabetes or high blood pressure, or if you are older, hiring a running coach is highly recommended. They can help you as you train, remind you to stay hydrated, and take adequate breaks during the exercises. They’ll likely also advise you that eating power bars and healthy snacks will help keep your body energized and strong. One of the most helpful tips is to pay attention to your body and learn to recognize any signs of stress or injury. If you experience any pain, slow down or take a break. It’s no use pushing through a marathon if it means damage to your body. Experts also suggest making sure you have appropriate footwear and clothing to keep you cool and comfortable during the marathon or marathon training. Start slowly and gradually increase the distance as you train. As with any strenuous sport, it is important to check with your doctor before you begin training, especially if you have a family history of kidney disease. Doheny, K., “Marathons May Cause Short-Term Kidney Injury,” WebMD, March 28, 2017; http://www.webmd.com/fitness-exercise/news/20170328/marathon-running-may-cause-short-term-kidney-injury#1, last accessed April 6, 2017. Sifferlin, A., “The hidden risk of running a marathon,” Sports Illustrated, March 28, 2017; https://www.si.com/edge/2017/03/28/marathon-running-risk-kidney-injury, last accessed April 6, 2017.